In the billion-dollar convulsions that mark any major corporate merger like Fairfax Media’s union with Nine Entertainment Co, one of the key questions is what happens to the bits that fall off? 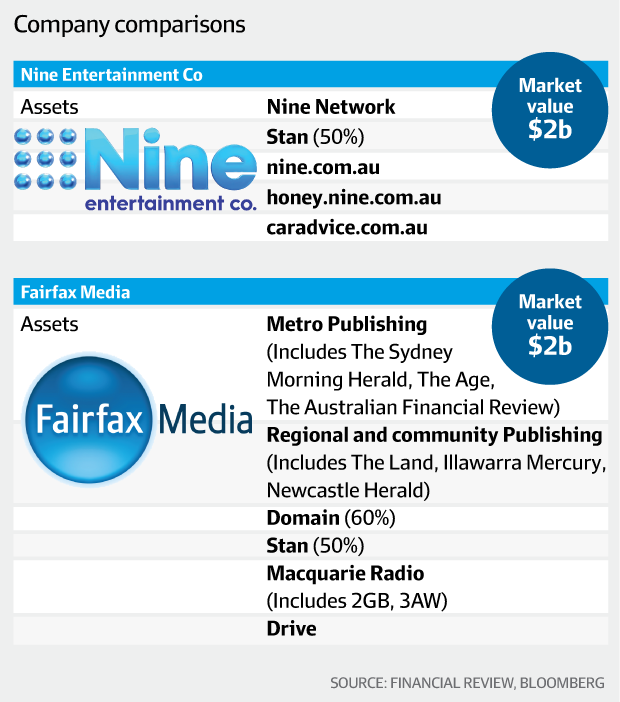 Nine CEO Hugh Marks is already reported to be considering offloading non-growth and non-core assets, including Fairfax’s regional media and New Zealand business units. Will his gaze go further? Max Mason revealed last October that before TPG Media bid for Fairfax in 2017 it was in talks with News Corp to sell The Australian Financial Review, though apparently no agreement was reached. While the future of the The Sydney Morning Herald and The Age appear tied to Domain, is the new Nine board likely to consider spinning off the Financial Review? There would be a range of potential buyers besides News, notably Nikkei, which could add it to the Financial Times, or European publishers like Bertelsmann or Bauer. Even Gina Rinehart has previously expressed interest in the paper. What makes this interesting is that the Financial Review is going through a purple patch. In the past two years, with no fanfare, the paper has become the hot growth prospect in Australian print media, a position it last enjoyed in the 1990s. That’s a relative term. It’s seen most clearly in comparison to its competitors. In a sea of red ink and falling sales across the industry last year, the Financial Review was the only major newspaper in the country that recorded increases in print advertising. The paper was the standout performer in the otherwise dismal April 2018 EMMA report, which showed that for 10 of Australia’s 11 metro newspapers, readership was down year on year between 2 per cent (The Australian) and 17 per cent (the Daily Telegraph). In contrast, Financial Review readership was up 15 per cent. The Australian‘s print readership was up 5 per cent, but its digital readership was down 12 per cent. In fact, digital readership was down across the board. Except for the Financial Review, where digital readership was up 40 per cent. This turnaround didn’t happen in a void, as the paper has laboured under editor-in-chief Michael Stutchbury to dominate the business space. While Fairfax does not break out digital subscriber numbers for the Financial Review, the earnings reports underscore the change. In August 2013, shortly after The Sydney Morning Herald and The Age introduced a loose subscription model for the two papers, subscriber numbers for the two were 68,000. Within 18 months they hit 158,000 but then they plateaued, inching up to 162,000 in February 2016. 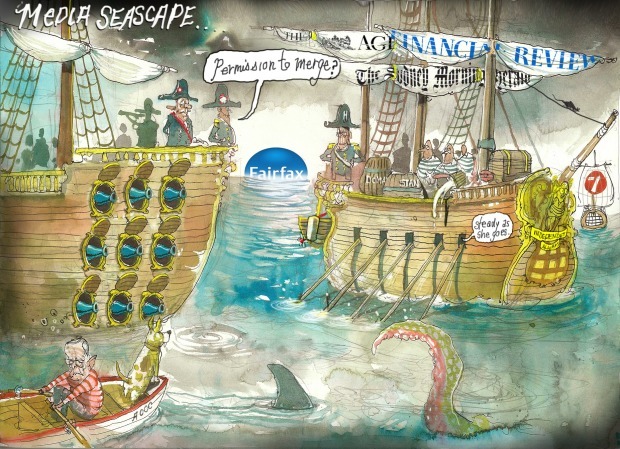 In August 2016 for the first time Fairfax included Financial Review numbers with the other two papers, reporting 209,000 subscribers, suggesting the Fin numbers were around 45,000. Since then the Financial Review has seen explosive growth, driven in part by big increases in B2B or corporate subscriptions, though from a relatively small base. Last February Fairfax reported 283,000 subs for the three metro papers – suggesting the Financial Review numbers six months ago were upwards of 100,000, even before a new kick-up in subs growth from early this year. The numbers are more remarkable because the Financial Review subscription package doesn’t come cheap. Percentage growth in digital subscription revenue is in the high teens. Remarkably, behind the TPG bid last year News Corp insiders say the Holt Street plan was to turn the Financial Review into an insert in The Australian, somewhat similar to the way Alan Kohler’s Business Insider was absorbed after News bought it for $30 million in 2012. The last known earnings breakdown for The Australian was the 2013 financial year (leaked to the Crikey website in 2014), which showed the paper lost $29.7 million that year, though News Corp says the paper now breaks even after strong growth in digital subs revenue. The 2013 loss would have been higher but internal production costs were cut by $10.2 million. Printing costs charged to the paper were down by $7.75 million, largely with newsprint cut $4.7 million. A News Corp source said costs were reallocated to other parts of News in return for a commitment to make other cutbacks, though the proposed cutbacks were later abandoned. Last October The Australian announced it was the first Australian news brand to reach 100,000 paying digital subscribers. The traditional rivalry between national papers has a new lease of life. Which way will Nine chairman Peter Costello lean? He does have a certain historical interest in finance.